There are a wide variety of sunscreens, such as cream, powder, stick, spray, etc. available in the market. But it is advised that you choose cream ones over others. Being mineral-based products, powder or spray sunscreens hold lots of nano-particles, and cause serious heat diseases. The sunscreen chosen by you should suit your skin the most. So, know your skin first. If you have a dry to normal skin, you can easily go for oil-based sunscreens. But those having oily acne-prone skin should always use water-based creams in order to steer clear of ugly breakouts. Your sunscreen should come with high sun protection factor. The SPF of a good sunscreen ideally ranges between 15 and 50. However, if you want perfect protection for your skin from the sun, pick one having SPF 30 or so. It would reduce the chances of getting sunburns and skin cancer to a great extent. When it comes to protecting our skin from the damaging ultraviolet (UV) rays of the sun, we need something that can prevent both UVA and UVB rays. While UVA goes deep into the skin and gives us various signs of premature aging like fine lines, wrinkles, age spots, saggy skin, etc., UVB leads us to painful sunburns, unattractive sun tans and severe skin cancer. So, find a sunscreen that offers broad spectrum protection and stay worry-free. Those who sweat a lot should seek a water-resistant sunscreen. Or else, there will be no point in applying a sunscreen as it will get washed away just after some time. 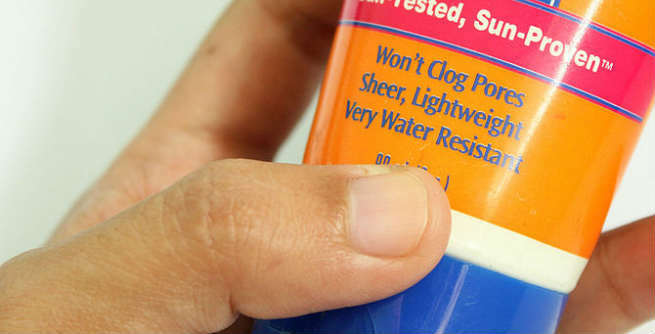 However, water-resistant sunscreens are not water-proof at all. So, you may have to re-apply it every couple of hours. There are some sunscreens which contain harmful chemical compounds, such as retinyl palmitate, oxybenzone, parabens, etc. Even though these ingredients can block UV rays efficiently, they can enter our bloodstream and cause adverse effects on our health. Hence, always check the list of ingredients and avoid products containing these chemicals. If your sunscreen comprises elements like alcohol, fragrances, etc., the chances are big that you will develop skin allergies. These products usually give a tingling sensation while applied on the skin. Therefore, try to stay away from sunscreens holding these compounds. 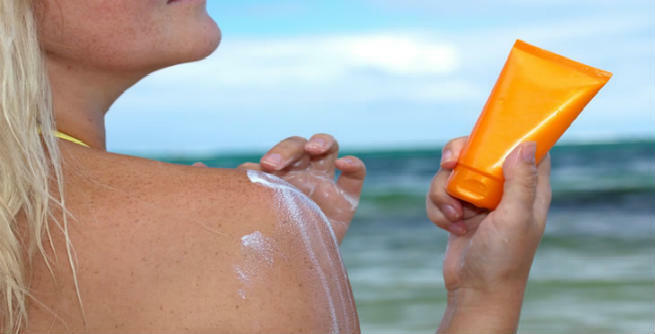 Certain sunscreens might even contain cheap UV-blocking ingredients including zinc oxide, titanium di-oxide, and so on. But application of these creams on the face as well as other parts of your body might give you a ‘ghostly’ appearance. It is always good to shun these inexpensive products.